Awesome acreage with Okanagan Lake view! This huge 9.12 acre property offers sweeping views of Okanagan Lake, the mountains, a peaceful country setting, and frontage on two roads. Only 5 minutes south of Predator Ridge Golf Course and Sparkling Hills. A very attractive parcel of land. 80 acres of privacy, beautiful lake, mountain and valley views, exquisite rural setting. New drilled well. 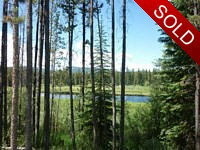 Nicely treed, expansive level benchlands, meadows, slopes and trails. Great for a hobby ranch, retreat, horses, all your toys. Enjoy endless recreational activities. Close to amenities, wineries, beaches, UBCO, Kelowna airport. 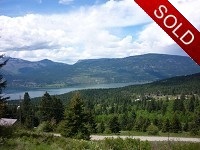 Only 5 km to Predator Ridge Golf Resort and new Commonage neighborhood. Panoramic 180 degree Okanagan Lake view! Fabulous 2.76 acre estate building lot with superb lake, orchard and mountain views. Private park-like setting in upscale Carrs Landing neighborhood, close to the lake, nature park and amenities. Build when you're ready. No building restrictions. Great location for your dream home. Carriage house permitted. A solid investment. 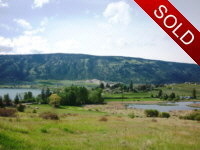 Pristine 22.21 acres with southwestern exposure and incredible views over Okanagan Lake, mountains, vineyards and orchards. Power, water, phone available at the property. Ideal for an equestrian ranch or private country estate. Adjacent to Crown Land. Close to lakefront access. Subdivision potential. Enjoy the marvellous lakeview from this 2.47 acre estate. A cottage is perched on the upper level of the lot captivating the panoramic view over Okanagan Lake, orchards and mountains. Use the cottage as a retreat until you decide to build your dream home. What a great location and solid investment. 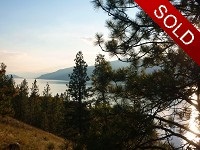 Beautiful lakeview acreage, less than 500m from Okanagan Lake. Over 10 acres of useable land, complete privacy, a mix of flat sites and gentle slopes, and a large cleared plateau at the top of the acreage with existing level access road. Located on the west slopes of Okanagan Lake above Ewing. Great investment or private estate building site. 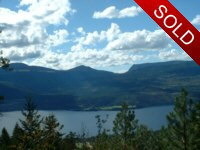 This fabulous 2.47 acre estate building lot features one of the most stunning views of Okanagan Lake, orchards and hills. Nestled in the desirable Carrs Landing area of Lake Country it offers a rural setting, wonderful privacy, serenity, and proximity to the lake, boat launch, vineyards, golf and amenities. Natural gas, water, hydro, phone are at the lot line. Private 76 acres offering spectacular lakeviews! Enjoy unobstructed panorama in all directions, brilliant views over three lakes, Okanagan Lake, Wood Lake and Kalamalka Lake, orchards, mountains and the valley. Great site for a Ranch, executive estate, sports camp, wellness resort, close to amenities, hobby farms and beaches. Develop now or hold as investment. Fabulous 0.39 acre lakeview property, easy access, end of the road, great views over Wood Lake, Duck Lake straight down the valley towards the lights of town, close to shopping and all conveniences. There is only one building lot like this one. Absolutely breathtaking! Stunning lake, mountain and valley views! This phenomenal acreage is a rare find! 40 beautiful acres close to Predator Ridge Golf Resort, this prime real estate has unobstructed and spectacular views from Vernon to Kelowna, B.C. Overlooking Kalamalka and Wood Lakes, the panoramic vistas will leave you speechless! Imagine your own private retreat on this outstanding forty acre property. Approved and licensed quarry. Take a look at this fabulous 2.5 acre estate building lot with beautiful lake, orchard and mountain views in an exquisite private rural setting. Serviced property offers a peaceful location in upscale Carr’s Landing neighborhood, close to Okanagan lake, orchards, golf and amenities. Golfers or Snowbirds, a relaxed lifestyle awaits you! 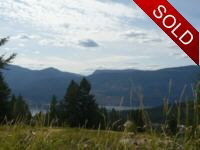 Sunset Rancher with stunning 180 degree views of the valley, mountains, city and Okanagan Lake! Immaculate 2213 sq. ft. home with partially finished walk out basement. 3 bedrooms plus an office or den. Master bedroom and den on the main level. Generous sized covered and uncovered decks off both levels to enjoy the panoramic vistas of the surrounding hills and expansive views. Many upgrades! Minutes to amenities, downtown Kelowna, the airport and UBCO campus. 1.9 acres in desirable Carr’s Landing neighborhood of Lake Country. Peaceful, rural, private. 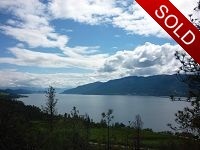 Attractive building site in an awesome location, only 295 feet from Okanagan Lake. A truly spectacular lakeview property! 17.48 acres in peaceful rural setting overlooking the lake, mountains, vineyard and orchards. Beautiful level and sloping building sites.Fantastic location for vineyard estate, close to the lake. This big lakeview acreage is truly a rare find. Private water utility. 13.86 acres in peaceful rural setting overlooking the lake, mountains, vineyard and orchards. Beautiful level and sloping building sites. Fantastic location for vineyard estate, close to the lake. This big lakeview acreage is a rare find. Private water utility, drilled well, hydro, cable. Rare country estate in Oyama. Rare 5.46 acre property with lake and mountain views in a rural neighbourhood, semi-lakefront on Wood Lake, waterfront on Pond, within walking distance to the school, library, small store, post office, country market and resort. A natural dream setting fringed by wetlands. Great site for year-round home or retreat by the water. Land in ALR. 1.09 acres for your individual design. This private home site offers a desirable location, 180 degree lake views, an exciting natural setting in a peaceful rural neighborhood. It is close to the beach, boat launch, amenities and wineries. Four Seasons Okanagan Playground for your vacation home! 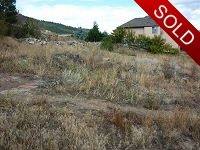 This is the perfect building lot for a home with view of Okanagan Lake, by the tennis courts, outdoor swimming pool and great amenities. 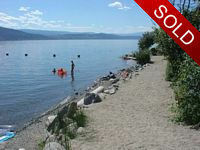 A super vacation spot to enjoy cottage life Okanagan style in a well planned vacation resort. Beach, moorage, boating, parks, trails, playground and more for your recreation pleasure. Priced well below assessed value! 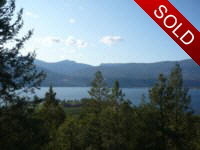 Fabulous 2.79 acre lot with gorgeous lake, mountain and orchard views. Private estate setting in new upscale rural neighborhood. Great location for your dream home. Easy walk to the lake, beaches and vineyards. Recreation, golf, and amenities closeby. Two acres in desirable Carr’s Landing neighbhood of Lake Country. Peaceful, rural, private. 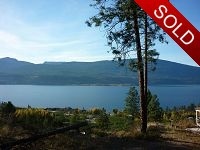 Attractive building site in an awesome location, only 300 feet from Okanagan Lake. A truly spectacular lakeview property! 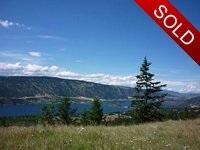 Fabulous 2.866 acre lot with gorgeous lake, mountain and orchard views. Private estate setting in new upscale rural neighborhood. Great location for your dream home. Easy walk to the lake, beaches and vineyards. Recreation, golf, and amenities closeby. Four Seasons Okanagan Playground waiting for your cabin! This is the perfect country getaway! A super private waterfront property on the peaceful pond at Idabel Lake with very desirable exposure on Paradise Road. Enjoy magnificent sunsets and mountain views. Close to Big White Ski Resort and the Nordic Cross-Country Ski Club. 1.80 acres just below the vineyards. This private home site offers a very desirable location, 180 degree lake views, an exciting natural setting in peaceful rural neighborhood. It is close to the beach, boat launch, amenities and wineries. 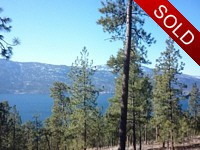 This scenic 9.5 acre property offers dramatic vistas of Okanagan Lake and the mountains. 1200 feet frontage on a quiee no thru country road and the peaceful rural neighborhood make it an attractive choice for your country estate. Great for horses. New drilled well. Five minutes south of world-class championship golf course Predator Ridge. IMAGINE a lakeview property where natural beauty and inspired design merge to allow for your dream estate in an unhurried country setting. Now imagine a place where the warm Okanagan sun lingers all day long. The panoramic views are awesome! Attractive Log home with fantastic views of Mountains and Lake! This beautiful 9.12 acre property offers sweeping views of Okanagan Lake, the mountains and a peaceful country setting, and frontage on two roads. Only 5 minutes south of Predator Ridge Golf Course. An attractive holding property. Fabulous 2.56 acre estate building lot with superb lake, orchard and mountain views. Private park-like setting in upscale Carrs Landing neighborhood, close to the lake and amenities. Build when you're ready. Great location for your dream home. A solid investment. Fabulous 2.47 acre estate building lot with superb lake, orchard and mountain views. Private park-like setting in upscale Carrs Landing neighborhood, close to the lake and amenities. Build when you're ready. Great location for your dream home. A solid investment. Spectacular, very private 10 acre property nestled amongst tall trees, only minutes to UBCO, golf courses, Kelowna city centre, shopping, the airport. Suitable for horses, hobby farming, BMX trails, gardening. Great building sites for your dream home. The current zoning allows for two homes on the property. This fabulous country property nestled in the scenic "Ellison Estates" neighborhood boasts over 10 acres, two manufactured homes, and panoramic city, lake and valley views. Great investment opportunity before you decide to build your new dream home. The property is suitable for horses, and offers flat areas, meadows, hillside forest, trails, and oh yes, great views. Rare offering in Oyama. Lakeview. 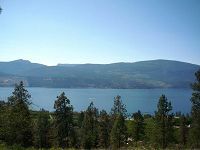 Beautiful 4.00 acre property with lake (Wood Lake and Kalamalka Lake) and mountain views, in a rural neighbourhood, within walking distance to the beach, school, small store, resort. Ideal for hobby farm. Suitable for horses. Services at lot line. 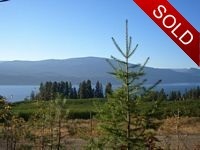 34.59 acres, spectacular lake views of Lake Okanagan, gorgeous rural setting. Natural gas, hydro, phone, water, cable available. Subdivision potential. Great investment opportunity. 1.9 acres and a beautiful lake view! Lakeview, mountain view, quiet rural setting, sloped site, waterfront nearby. 1.9 acres with a beautiful lake view in Winfield! 44 acres, beautifully treed, quiet rural setting, good road frontage, panoramic mountain and valley views. Perfect getaway or land investment. 20 acres, good-sized country property, flat and gently sloping building sites, easy access, lovely panoramic views. Densely treed. A great place for your dream home or estate. This parcel offers plenty of privacy, set back 400 m off Whitelake Road. Minutes to Fairview Golf & Country Club, and small lakes. Make it your recreational retreat. This 20.66 acre property offers plenty of privacy, set back 800 meters from Whitelake Road. Minutes to Fairview Golf & Country Club, and small lakes.Make it your recreation retreat.